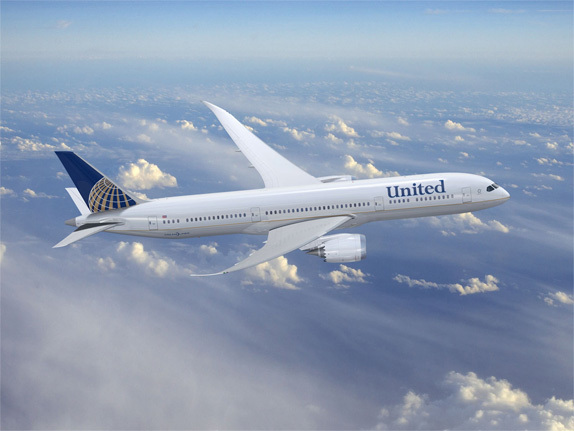 Yesterday, United and Continental Airlines, the third- and fourth-largest U.S. carriers respectively, announced they would be merging, creating the first-largest carrier. While the media focuses on numbers of flights, ramifications for shareholders and what will happen to customers’ frequent flyer miles we focus our attention on what really matters: The literal merger of two infinitely different brands. As I see it, United has always had the cooler, hipper personality with its Saul Bass-designed tulip icon and Pentagram-crafted wordmark (and livery) as well as its lovely mid-00s TV advertising campaign by Fallon. Continental, on the other hand and despite its globe logo having matching Saul Bass origins is, well, bland. Competent, but boring. Last updated by Lippincott in the early 1990s, making the globe more refined and the typography more formal. So how can these two identities come together? Well, rather painfully. Somewhere, somehow it was decided that the absolute best of both worlds was to have the United name with the Continental look. It’s not. Financially, strategically and press releasingly, it does make sense, I wouldn’t even venture into thinking that the decision was wrong, but the visual manifestation is like fingernails on chalkboard. What’s funny is that if this were a new airline, and we didn’t have the accumulated associations of both brands we would just say it’s boring and move on, but it’s impossible to see the new logo and not feel that there is something inherently wrong with this equation. In all likelihood we will see a new logo in the next year or two, unless they have started painting planes — in which case we are screwed. The best way I can relate the confusion that this identity creates is by quoting one of the most genius contributions of the internet: The Mashup. More specifically: The family-friendly trailer for The Shining. Two genres. Clashing. 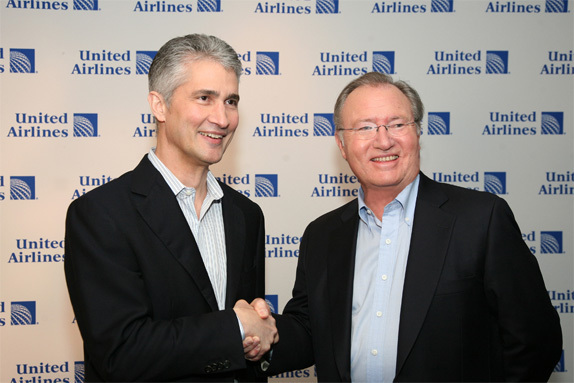 Yesterday, United and Continental Airlines, the third- and fourth-largest U.S. carriers respectively, announced they would be merging, creating the first-largest carrier. While the media focuses on numbers of flights, ramifications for shareholders and what will happen to customers' frequent flyer miles we focus our attention on what really matters: The literal merger of two infinitely different brands. As I see it, United has always had the cooler, hipper personality with its Saul Bass-designed tulip icon and Pentagram-crafted wordmark (and livery) as well as its lovely mid-00s TV advertising campaign by Fallon. Continental, on the other hand and despite its globe logo having matching Saul Bass origins is, well, bland. Competent, but boring. Last updated by Lippincott in the early 1990s, making the globe more refined and the typography more formal. So how can these two identities come together? Well, rather painfully.